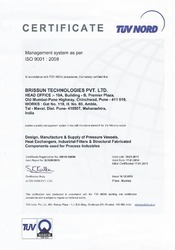 Established in the year 2008, we Brissun Technologies Pvt. 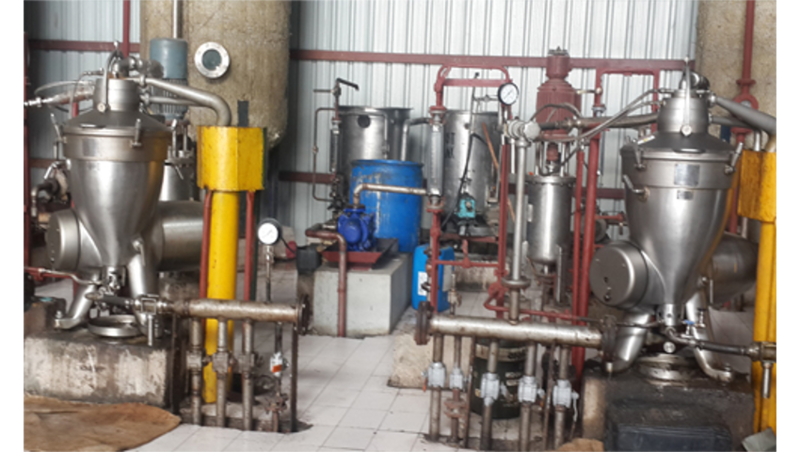 Ltd. are the leading manufacturer, exporter, importer and service provider of superior quality range of Dewaxing Plant, Degumming Oil Plant, Edible Oil Bleaching Plant, Oil Refining Plants, Edible Oil Service etc. The dual expertise has allowed us to engineer industry specific system that focus on energy efficiency and utilities management for edible oil refining. Our teams are propelled by the finest engineers in the land, these highly trained professionals have developed innovative solutions and saved millions in process costs for our clients. We are exporting our products mainly Nepal, South Africa, Latin America and South Asia. Our business practice and processes have combined into singular philosophy of being trusted partners, who provide innovative solutions with a combination of specialized knowledge and latest techniques, we provide plants and solutions to achieve optimum efficiency. Our refining plants are designed and manufactured at our own manufacturing plants at Pune with quality in mind. Our manufacturing unit is ISO 9001 : 2008 certified. Our organization has grown by leaps and bounds under the leadership of our mentor Mr. Vivek Bansal. Their vast industry knowledge and business acumen have enabled us to achieve great success in this cut throat competition. Bhushan Oils and Fats Pvt. Ltd.
Manufacturing, Trading, Importer and Exporter of Processing Plant and Equipment. Our vision is rooted in our commitment to building our company in synergy with three groups of partners; our customers, our employees, and our suppliers. We strive to be the foremost partner for our customers by understanding their needs better than our competitors, providing them with optimal, cost effective and timely solutions and always standing behind our products through, the best technical support and after-sales service in the industry. We recruit, retain and train employees, who are qualified professionals, working seamlessly together worldwide. In all our dealings, we insist on integrity and for cultural, ethnic and linguistic diversity within organization. To ensure the quality and improvement of our products, services, and operational processes, we work in cooperation with our suppliers. Since its inception, Brissun enforced a new business strategy that has made the company one of leading solution providers for processing industries, chemical plants heat exchangers & distillation plants. We have proficiency in the processing technology of rice bran oil, sunflower, soybean oil and palm oil. Brissun Technologies endeavors to provide the best quality, smart solutions, excellent services and fast benefits for the process industry. In an attempt to stay competitive, the core concerns are downtime and availability, whether the sunflower oil, soybean oil Palm oil, cotton seed oil is being processed. Our own designed process will offer the best heat recovery, low power consumption, and bare-minimum thermic fluid consumption. We are noteworthy entity, involved in providing high quality Heat Exchangers, Distillation Columns, Pressure Leaf Filters and more.